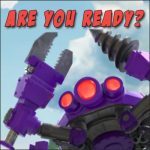 VP dropping | Boom Beach. All about the Game! 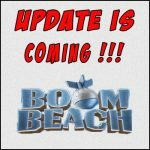 ← The November update of Boom Beach (The Imitation Game). Opinion. 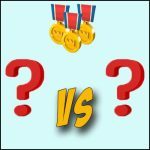 The principle of selection of opponents in the Boom Beach is based on the number of victory points which number is the determining factor of the level of players that appear on the our game map. 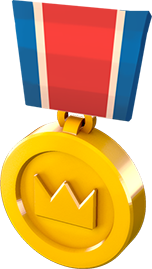 Therefore the more we attack and the more medals we earn, the stronger opponents appear on our map and the more difficult become to defeat them. How to be in such cases? How to continue gather resources not as a farmer but attacking and defeating? 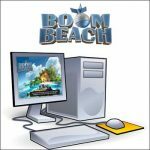 Note: “to drop victory points” in Boom Beach is the action aimed at encouraging opponents to attack own island through placing the Headquarters directly on the shoreline without any defensive buildings near it. Such position leads to frequent attacks on our island and allows lowering the number of victory points and getting opponents of lower levels. Of course if we place the Headquarters on the shore line without any defensive buildings it will lead to the fact that every player will attack our island and the number of VP will be reducing constantly. But that the result was palpable we need to spend a lot of time keeping the HQ open for attacks and sometimes it takes from one to two months (less period won’t bring the good result). And besides all this time we need to play less actively because for the successful attacks the number of VP increases 🙂 Besides we need to remember that the less we attack the lower our base appears on the map of other players. Thus if we don’t attack anyone for a long period of time it doesn’t lead to the rapid drop of the VP amount because our base will appear less and less on the other player’s maps. Besides, the victory over a stronger opponent always brings a lot more fun than winning over a player which is obviously weaker. 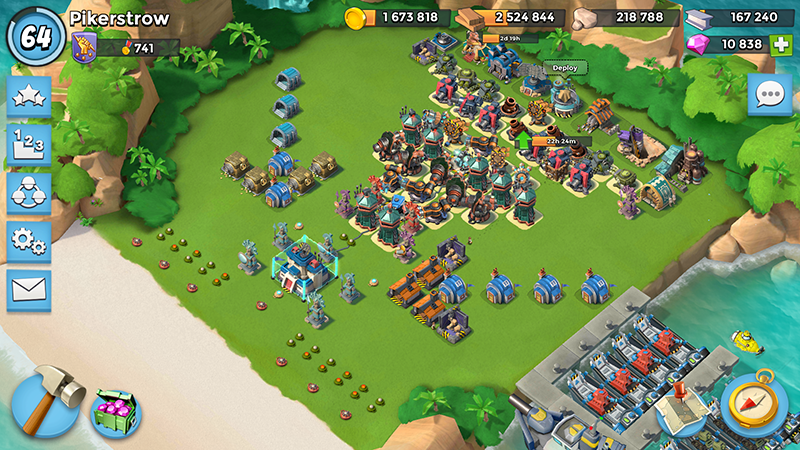 After all the Boom Beach is a game and games are invented in order to get pleasure from them! So let’s play and enjoy! P.S. But if you despite of everything decide to drop victory points don’t place the HQ without any support! Put beside him at least a third part of your defensive buildings. 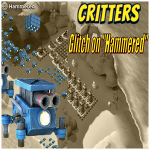 It won’t prevent the opponent from the attack but will help you to earn some diamonds and intels for your TF. How do you think is there any sense in purposeful VP dropping? Yes, definitely! Using the weaker players helps to develop much faster! No. I think it's a waste of time. I do not know. I have never tried this.